Volunteers are needed - these are easy jobs to fill - sign-up today and earn walk-on passes and volunteer hours! 2018 2019 JoCo Club Ice Skater Contract. 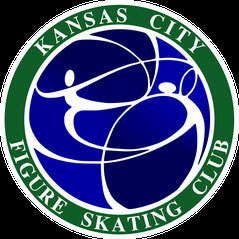 Club Ice is designated as ice time for Kansas City FSC / Silver Blades FSC members and skaters of other clubs who have joined KCFSC/SBFSC as associates/non-home club members. This reserved time gives skaters the opportunity to practice their skills during the week. Members can purchase contracts for club ice time for each session, or they can pay as a walk on. 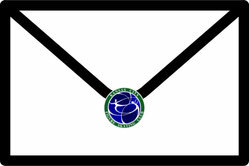 Members of other regional clubs are welcomed as guest members of a KCFSC/SBFSC member. All guests must register and sign a release of liability form prior to skating in club ice. The KCFSC/SBFSC 2018-2019 skating season will run from Friday, September 7, 2018 - Saturday, May 11, 2019. * KCIC may add one additional Friday/Saturday Weekend Outage during the 2018-2019 season. If additional outage is utilized, the dates would be announced in advanced and the value of the session(s) impacted would be refunded to the contracted skaters. Any weather related cancellations will follow KCIC Rink’s status. In the event of inclement weather please verify with the rink – if KCIC remains open, club ice sessions will be held; if KCIC decides to close the facility, club ice sessions will be cancelled. Please note that the Club Ice Committee reserves the right to pre-empt any session upon reasonable notice for special events. * High Freestyle Session on Saturdays is open to skaters who have passed the Pre-Juvenile Free Skate test or higher, USFS Bronze Dance Test or higher, or the USFS Juvenile Moves in the Field Test or higher. ** Note that the hourly contract rate will increase to $16 per 1-hour session and $24 per 1.5 hour session as of January 1, 2019. Contract ice fees are outlined above. Please read the entire contract for full details. Out-of-town skaters who are US Figure Skating members may make arrangements to skate one (1) club session at the current walk-on rate. Out-of-town skaters who are going to be in the area for an extended stay that wish to use KCFSC/SBFSC club ice for more than one (1) session will need to contact a member of the Board of Directors to make arrangements during your visit. Skaters who have passed U.S. Figure Skating Learn to Skate Pre-Free Skate or higher are welcome to participate in the Kansas City FSC/Silver Blades FSC club ice sessions. A skater may contract specific session(s) and/or may purchase walk-on sessions. A maximum of 26 skaters will be allowed on a session. In the event that a session becomes full, skaters that have contract ice will have first priority. Walk-on skaters will then be allowed on a first-come, first-serve basis. If a session is full, then a walk-on skater may take the place of an absent contract skater, 5 minutes after the start of the session. Each skater needs to check-in with the ice monitor upon arrival. If a skater does not check-in with the ice monitor, the ice monitor is not responsible for the availability of ice for that skater. Skaters may only skate the sessions for which they have contracted or have paid to walk-on via cash, check, Pre-Paid Walk-On Card, or Make-Up Credit. Skaters who contract one (1) or two (2) sessions before January 1, 2019, will receive a total of four (4) Make-Up Credits. Skaters who contract three (3) or more sessions before January 1, 2019, will receive a total of eight (8) make up sessions. Skaters who contract after January 1, 2019, will receive one (1) Make-Up credit. Payments may be made to the ice monitors in the form of cash or check. There is a $30 fee for any late or returned payments. Lump Sum Payment Plan - Total contract amount is due with Contract Submission – no further payments are due. Quarterly Payment Plan - The first quarterly installment will be due with Contract Submission and subsequent installments will be due on the 1st of November, January, and March, for a total of 4 payments. Monthly Payment Plan (only available to those contracting 4 or more hours per week) - The first monthly installment will be due with Contract Submission and subsequent monthly payments will be due on the 1st of each month September – May, for a total of 9 payments. Courtesy reminders will be emailed on or about each payment due date as listed above. Payments not received within thirty (30) days of their due date will be assessed a $30.00 late fee which must be paid in addition to the original amount due in order to bring the account current. At that time the skater(s) will be considered “not in good standing” and will not be allowed to test, compete, or utilize club ice sessions until the account is brought current. A $30.00 fee will be charged on all returned checks and the subsequent payment made to replace the returned check must be in the form or cash or money order. Non-payment of a contract bill may result in the total amount due being sent to an agency for collection. Payment will be considered late if received 30 days after the due date. Program Music to be played must be on CD and is to be turned into the Ice Monitor Desk at check-in. Sometimes due to lack of demand or availability there is no music monitor for a session and in this case the music will instead be handled by coaches/skaters similar to rink freestyle sessions. Skaters must wear the Program Sash when their music is being played for them. All other skaters and coaches should be aware of the sash and yield right-of-way to the best of their ability. All skaters need to check in with the ice monitor immediately upon arrival to ensure their spot. This is especially important as Saturday's Club Ice Session is now commpletely FULL so Walk-Ons will only be available after 5 minutes if contracted skaters do not show. If a contract skater is going to be more than 5 minutes late they need to let the monitor know ahead of time so their spot can be held - otherwise it may be forfeited for that session to a walk-on. All Cell Phones, iPads, etc are to remain at the barrier/boards. For your safety and the safety of others, there should be no one skating while holding any electronic devices with the exception of a coach recording their student or exploring new music with their student. No one should linger/congregate/group at the boards or on the ice. Extended conversations should take place off ice ... when on the ice you should be moving. Props may be used but may not touch the ice or endanger any skaters on the ice. If small prop is dropped it must immediately be retrieved by coach or skater. Walk-On Policy is payment prior to stepping onto the session either via a punch or cash/check. Please let us know if you have any questions or concerns regarding the above.